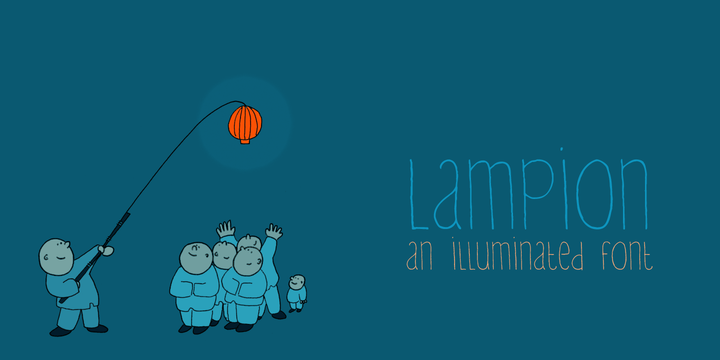 Lampion is a typeface created by David Kerkhoff and published by Hanoded. Used especially at festivals, paper lantens come in varios shapes and sizes. This font has characters tall, narrow and easily legible. A font description published on Tuesday, December 11th, 2012 in Fonts, Hanoded by Alexandra that has 4,186 views.